Every child should have a dream for their future. 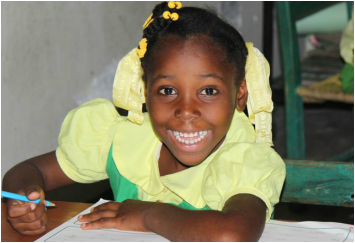 Our students have big dreams and they all start with getting a quality education. 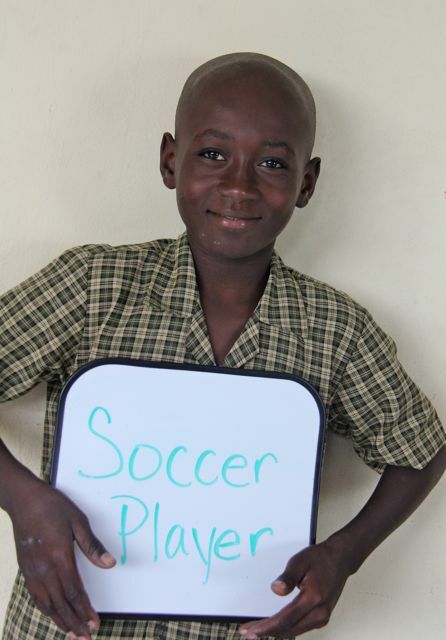 Each day throughout the month of December we will feature one of our students and their dream for their future. 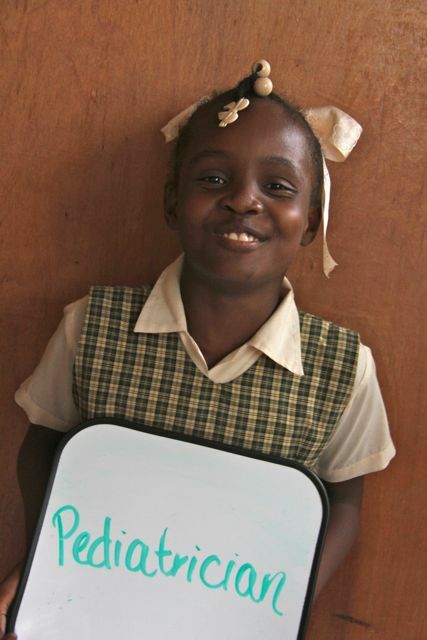 Our goal is to secure 30 new sponsors to provide scholarships so our students can DREAM BIG! 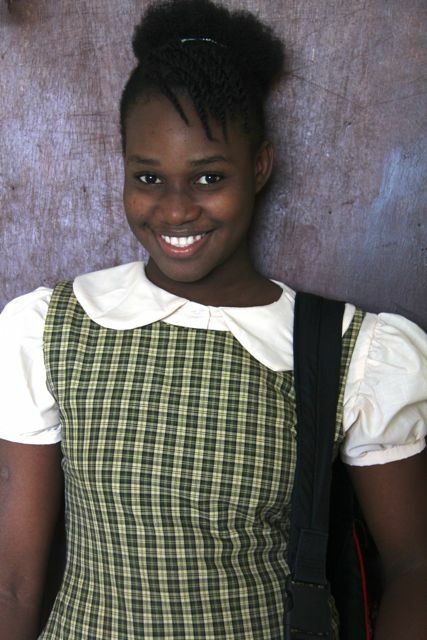 Visit our Child Sponsorship page to become a sponsor or our Donate page to support our programs. Meet Richardson. 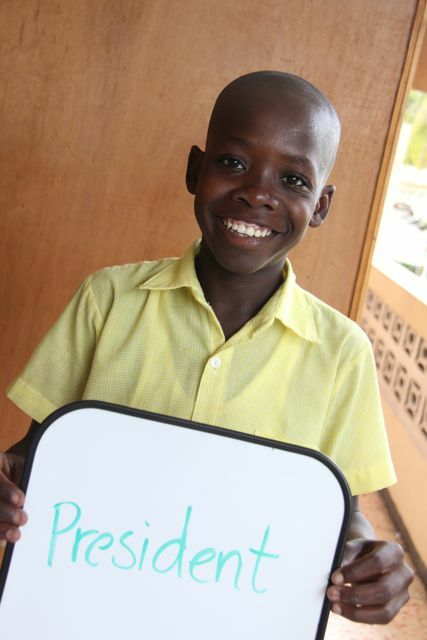 His dream is to become President and provide education for all children in Haiti. Watch part of his first Presidential address as he shares his education agenda. Educated students will change Haiti. Meet one of our new kindergarten students who is working hard on his writing skills. 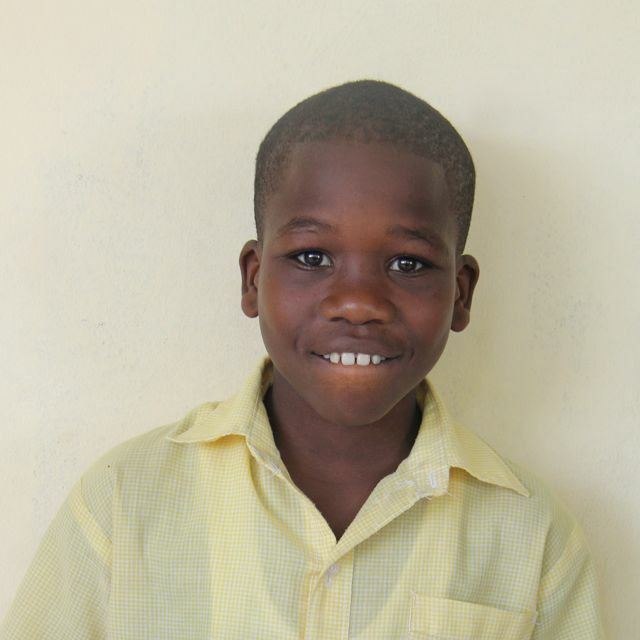 Dawens is so happy to be at school and dreams of being able to read books all by himself. 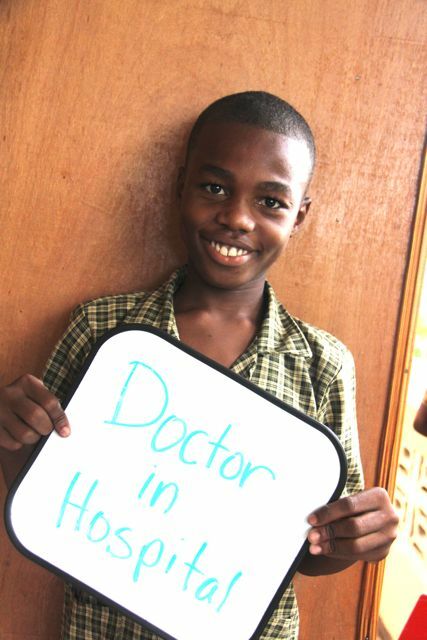 Martino dreams of becoming a pediatrician. He loves babies and wants to help kids stay healthy as they grow up. A healthy start can make all the difference. 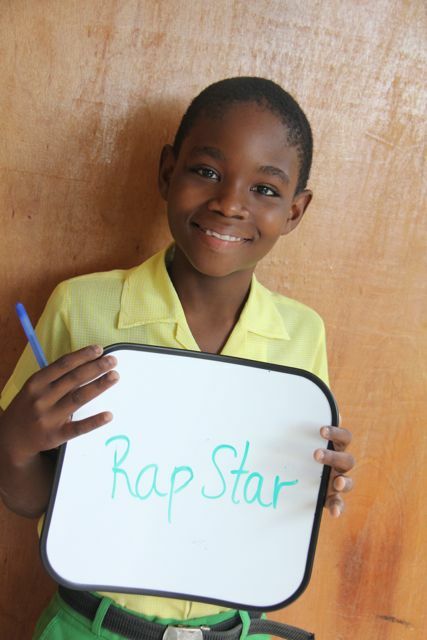 Carderson dreams of entertaining millions with his freestyle skills as the next big Rap Star. An education will help him make smart business decisions and manage all that money...money he wants to use to open more schools. A hard working group of young women with dreams of becoming doctors! Go girl power!! As we all head back into the office to start the work week, Medjina hopes to do the same when she grows up. 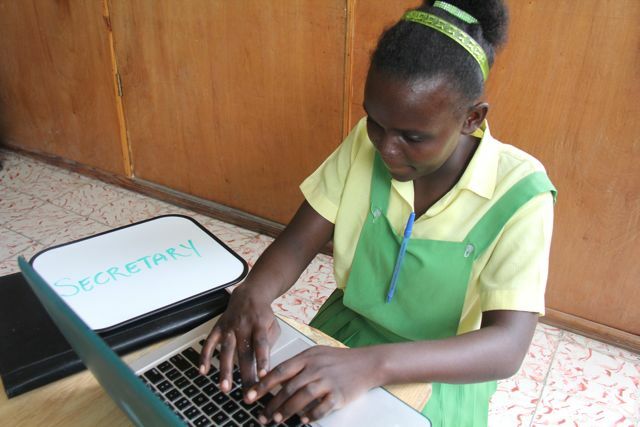 She would like to study business and become a secretary. 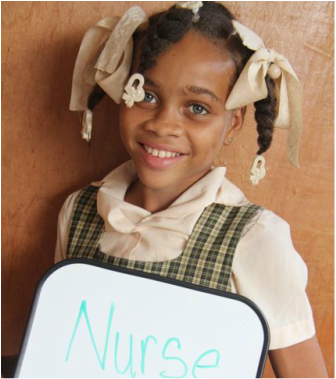 Emmanuella dreams of someday becoming a nurse. 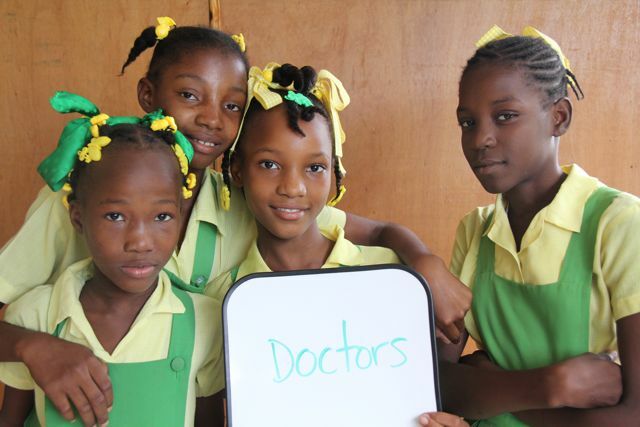 She not only wants to provide lifesaving care for patients, but also educate Haitian communities on how to stay healthy and avoid preventable illnesses. One scholarship can have an impact on so many in the future. Almost all boys have dreamt of becoming a famous athlete at one point in their childhood and our students are no different. A professional soccer player needs to be able to read a playbook and contracts for a successful career. 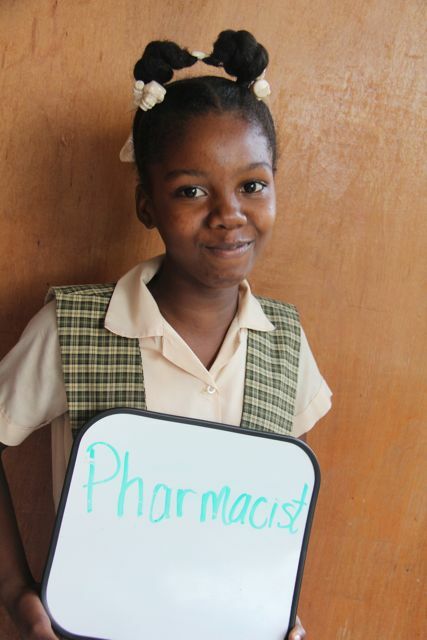 Luckney dreams of the day she can become a pediatrician and take care of sick children. She thinks that every kid should be able to see a doctor when needed. Help support a dream through education. Who hasn't wanted to be a famous singer at some point? 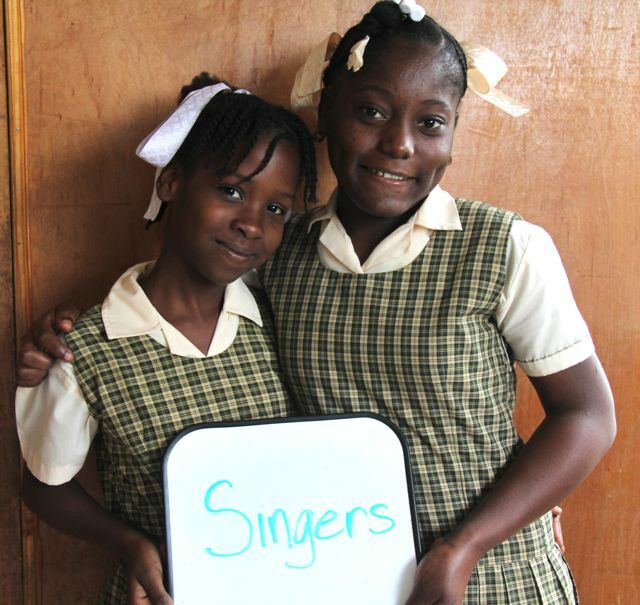 These girls would like to write their own songs and perform in front of thousands of people. Everyone has a dream! Future doctos and nurses in action! Our fabulous 4th grade teacher had all of her students role play their dreams for the future. These two young women hope to provide quality medical care to Haitian families so children won't lose their parents to preventable illnesses. Today's dream comes from two students who share a strong interest in science and are very concerned about protecting the environment. 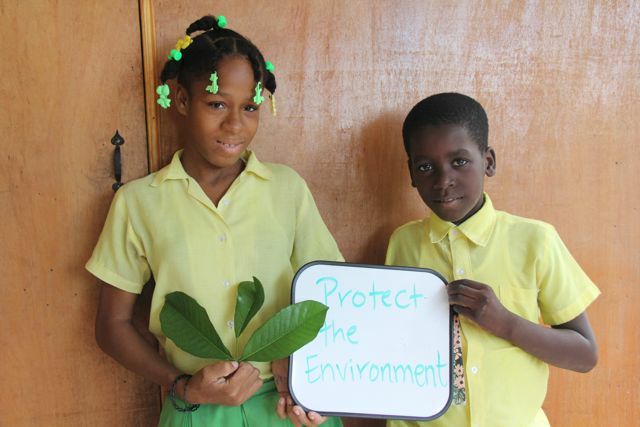 With continued education these two could be great advocates, policy advisors or leaders in sustainable energy practices. 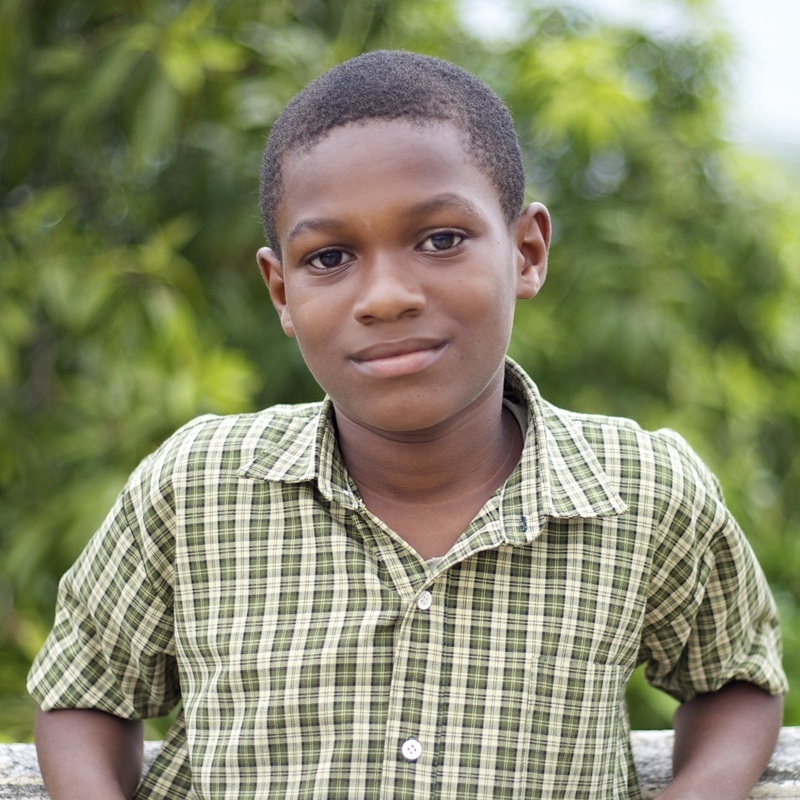 Woodley dreams of the day when he can become a doctor and work in a hospital providing quality health care to Haitians when they need it the most. Who doesn't need a good mechanic at some time in their life? 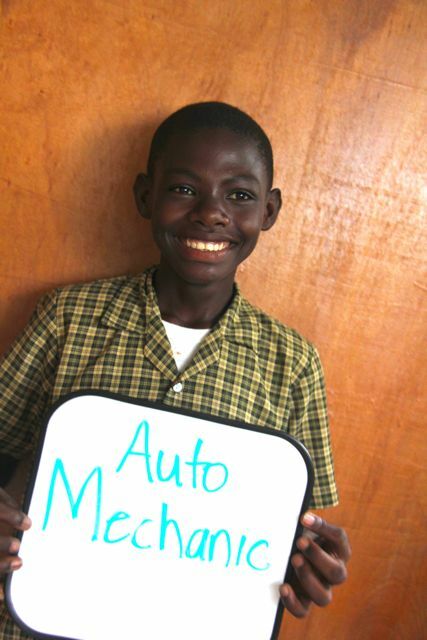 This entrepreneurial 6th grader not only dreams of becoming a mechanic but also of starting his own business where he can employ other mechanics. Education leads to future job creation. 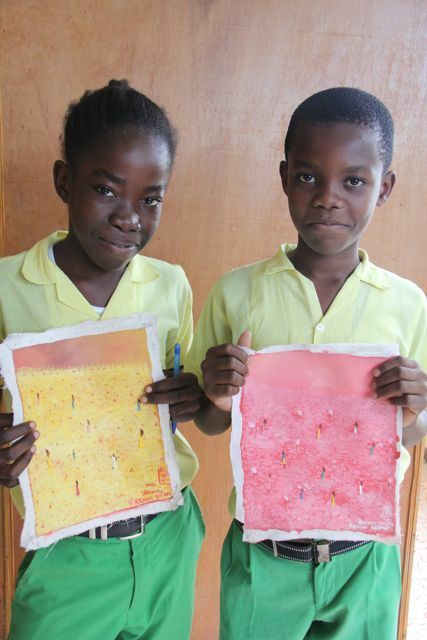 Two budding artists with exceptional talents dream of creating art that shows people the beauty and rich culture in Haiti. Give Merika a chance to dream with an educational scholarship! Her fierce desire to learn and natural curiosity make her an ideal student with a great future ahead . 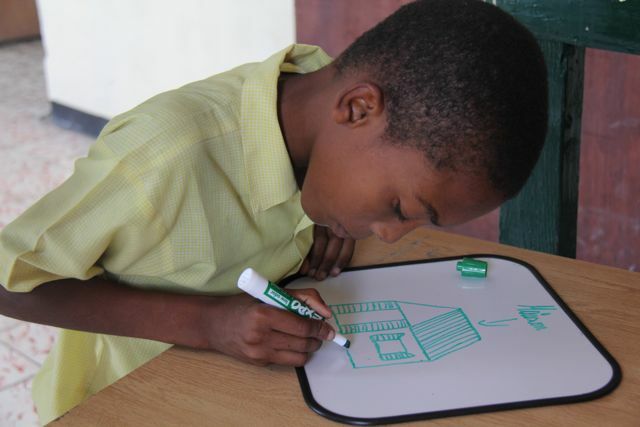 Louvence dreams of becoming an architect so he can build safe homes and schools in Haiti...homes that can withstand earthquakes and hurricanes. 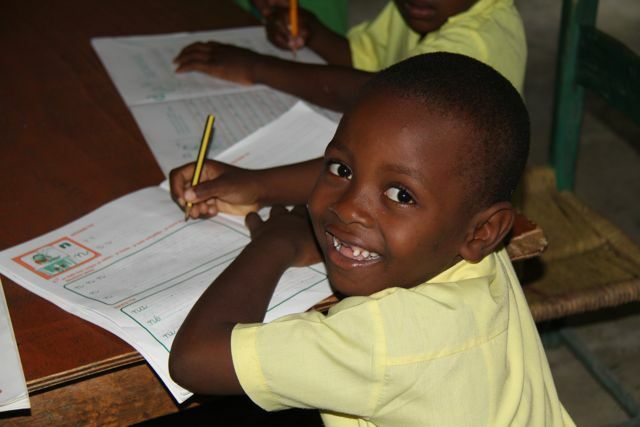 Investing $25/month in the education of one child could save thousands of lives in the future. Our very own principal inspired today's dream. Clermens wants to follow in Jordan's footsteps and become a school principal. He would make a great leader! Today's dream comes from Cesar. 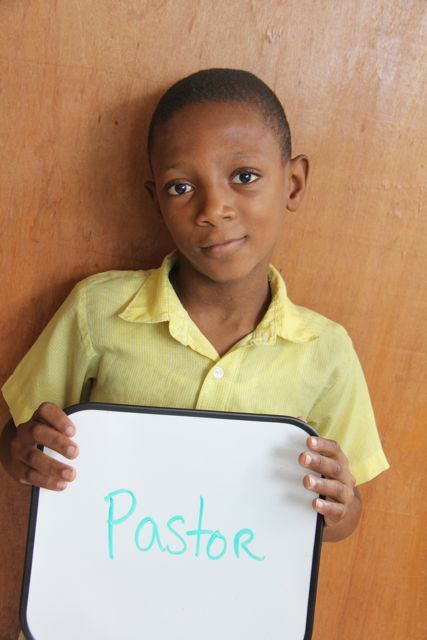 He hopes to become a teacher so he can make sure kids get a good education. One qualified teacher can impact thousands of lives. 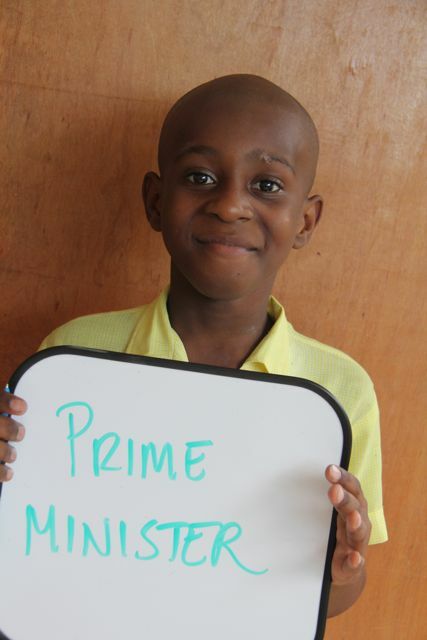 Today's dream comes from a 4th grade student who hopes to someday serve as Haiti's Prime Minister. Great leaders need a great education. Support future leaders with an educational scholarship. A mother's influence is far reaching. Among other big dreams, Mickerlange also hopes to be a good mother some day. Children born to educated mothers are significantly healthier and more likely to get an education themselves. 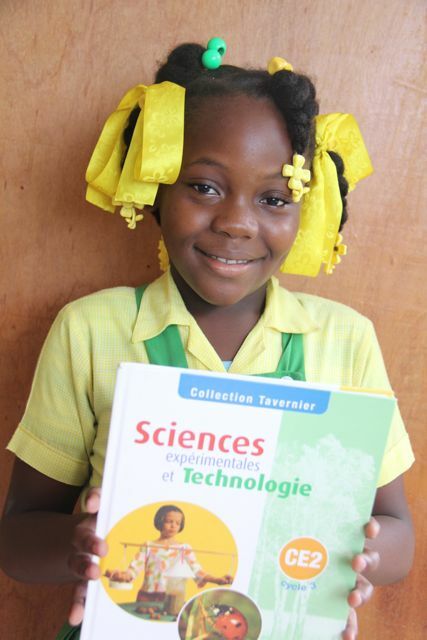 Invest in one student's education today and impact future generations to come. 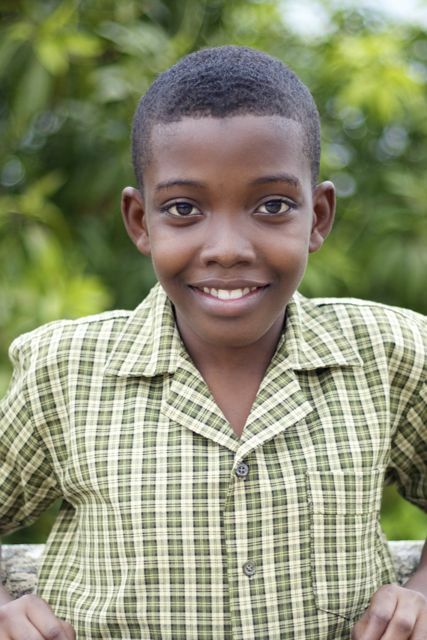 Jhonson's dream for the future starts with him passing the official exam at the end of 6th grade so he can enter secondary school. 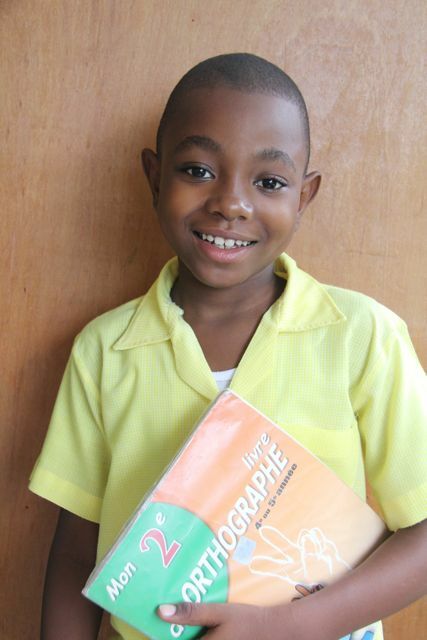 He puts in lots of extra time studying so he can move on to the next level of schooling. Dedicated students are capable of great things when they have the support they need!